Under the Earth’s surface is a rich array of geological resources, many with potential use to humankind. However, extracting and harnessing them comes with enormous uncertainties, high costs, and considerable risks. The valuation of subsurface resources involves assessing discordant factors to produce a decision model that is functional and sustainable. This volume provides real-world examples relating to oilfields, geothermal systems, contaminated sites, and aquifer recharge. 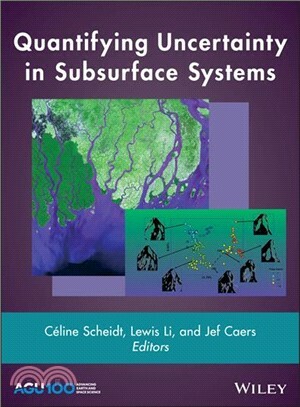 Quantifying Uncertainty in Subsurface Systems is a multidisciplinary volume that brings together five major fields: information science, decision science, geosciences, data science and computer science. It will appeal to both students and practitioners, and be a valuable resource for geoscientists, engineers and applied mathematicians.